Vanishing Big Bear “2” is the latest version of the original Vanishing Big Bear which was first published in 1995. 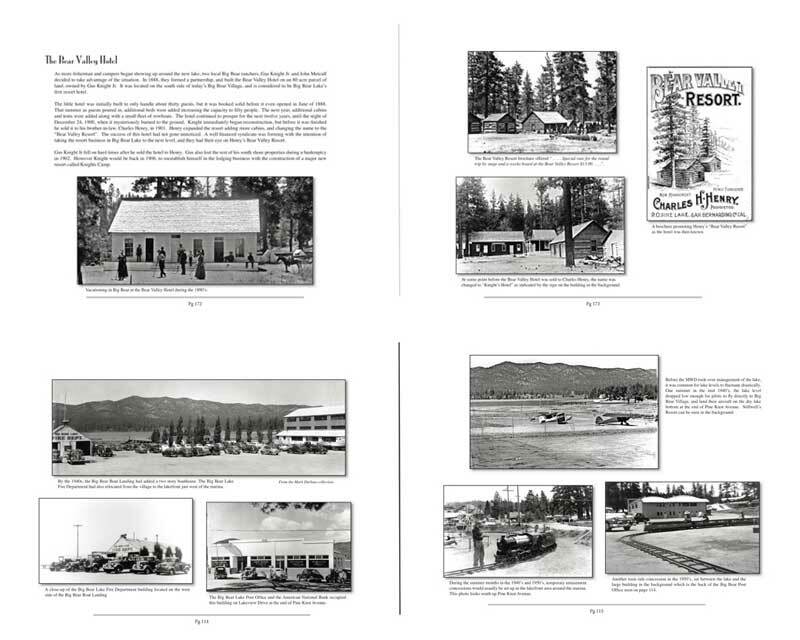 This edition illustrates the rich history of Big Bear Lake with a collection almost 500 historical images dating from the mid 1800’s up through the 1960’s. 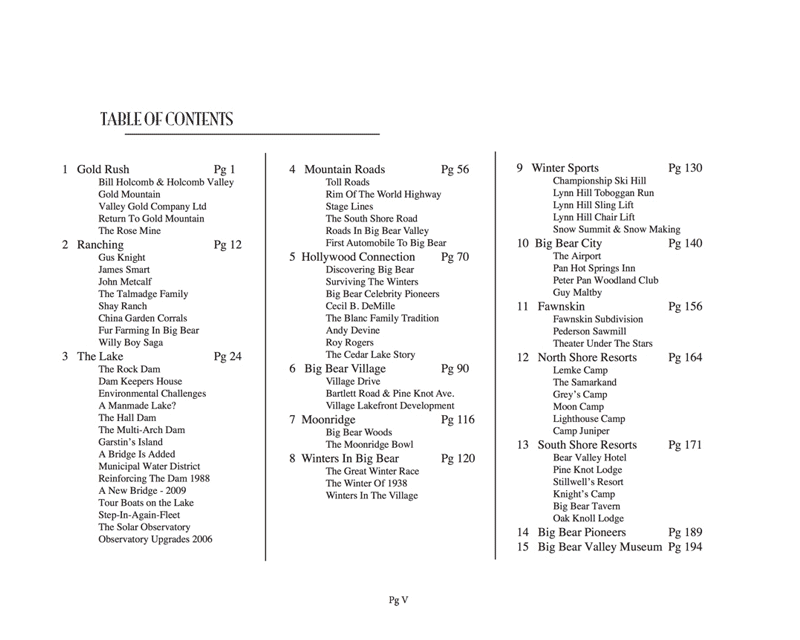 The text and images are organized into 15 chapters covering 75 topics. 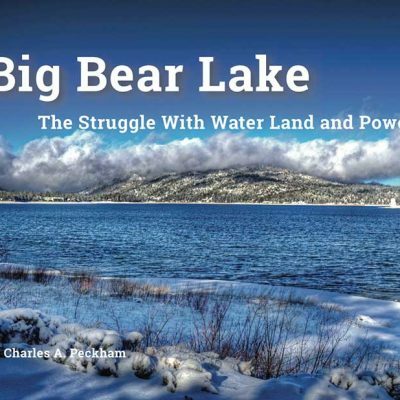 This book provides the reader with a photographic legacy of the Big Bear that once was. It wasn’t that long ago that Big Bear Valley was a pristine wilderness. To say that the communities and resorts that exist here today grew out of that wilderness is not quite accurate. The majority of the early resorts and grand lodges that first populated this valley have long since disappeared. Most of the buildings in the Big Bear Village today are now second, third, and even fourth generation structures. To fully understand how Big Bear Lake evolved over the years into what it is today, we need to learn about what was once here, but has long since vanished into history. 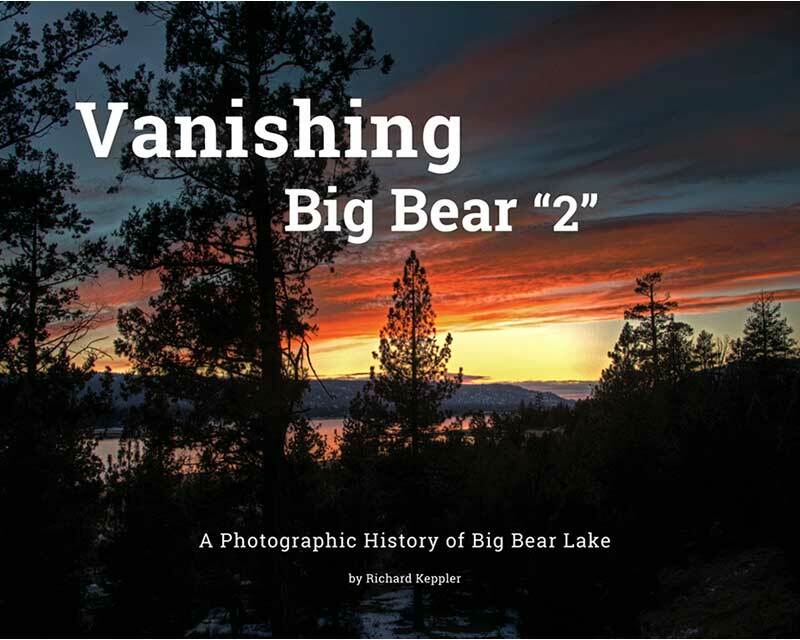 “Vanishing Big Bear 2” illustrates that history with an impressive collection almost 500 fascinating historical images, dating from the mid 1800’s up through the 1960’s. 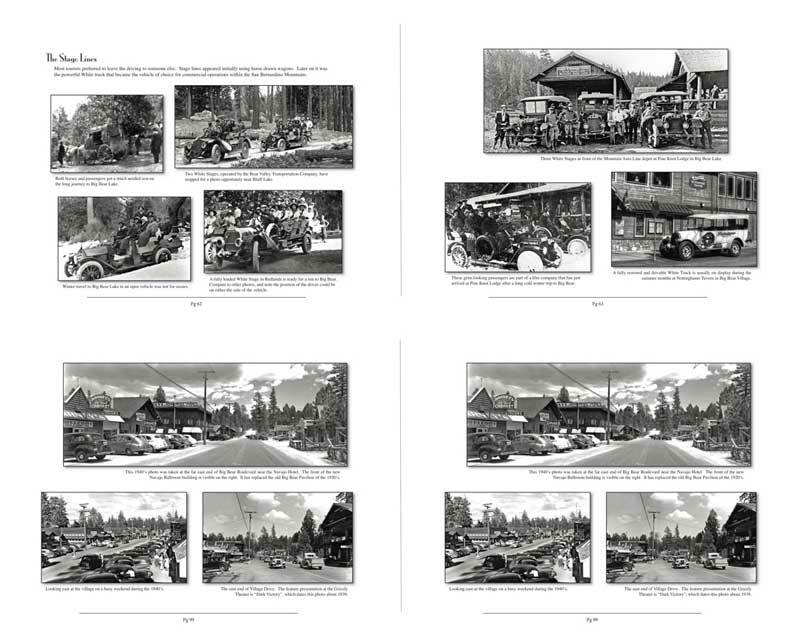 These images are organized into 15 chapters covering 75 topics, which collectively provide a photographic legacy of the Big Bear that once was. This new Vanishing Big Bear “2” is the expanded edition of the original Vanishing Big Bear which was first published in 1995.